So, here we are with the first photo of my 366 project for 2012. 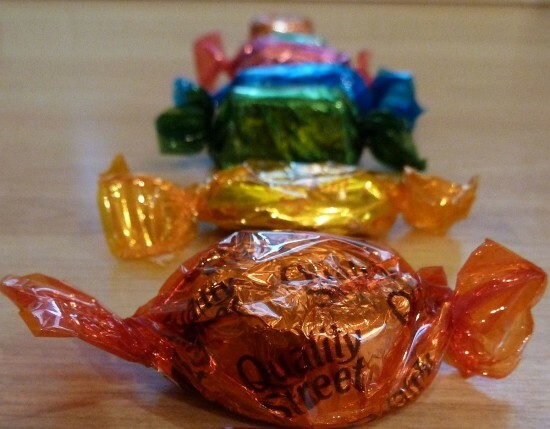 I guess that a lot of people will be familiar with Quality Street chocolates – and were probably hoping that they’d seen the last of them for another year. I’m not sure whether they’re just a British thing, although I’m sure that there’ll be an equivalent wherever you’re looking in from. We used to have Quality Street at home over Christmas, and my grandparents always had Cadbury’s Roses at their house. So I grew up always having a bit of both every year. Nowadays, I can never decide which I prefer – this year we had a little box of each instead of a big tin of either. We’ve still not even started on the Quality Street, but I thought they made for a good picture to finish the festive season. I’m back at work tomorrow, so I’m now in the last few hours of my time off. 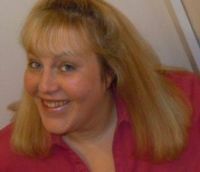 Happy New Year to everyone – I have a feeling that 2012 is going to be a lot of fun! Click here if you want to know more about the 366 project; it’s a great way to have fun with photography and meet some really interesting and encouraging people from all across the world. Love the color and the perfect DOF you used….Now you have me craving chocolate (and I have been trying to stay away from it lol) Happy New Year! Fine shot with good colors and depth of field. I like it! So Glad that you bought enough to share, although I rarely share chocolates myself! Interesting idea and nicely presented! Love the composition with the shallow depth of field and the leading line of colorful candies. I’ve never heard of that brand of chocolate, but I love the composition & the selective focus. Mmm..yummy. I like the shallow depth of field. I love this image- and your creative for this theme- looking forward to following your journey in 2012. Great photo, but you’ll have to have the purple one at the front to get me salivating! lol – the purple one’s always the favourite in our house too! I’m always happy but sad to see the last of the chocolates in the fridge get eaten, now there’s just enough time to salivate over what chocolate treats the easter bunny might bring my way. Love this shot. I now have cravings for Roses (also big in Australia) and Quality Streets (I ate these a lot when we lived in the UK)… I don’t like my chances of finding either in LA though. Ok, quality in first place! Just a motto for 2012.